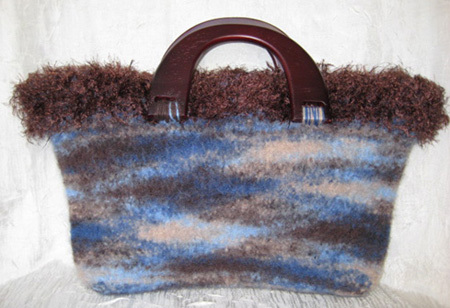 Hand-knitted and felted wool tote with abstract color pattern and "poodle" trim. Magnetic snap closure and wooden handles. Polyester lining. Size is approximately 14-1/2" W x 9-1/2" L.